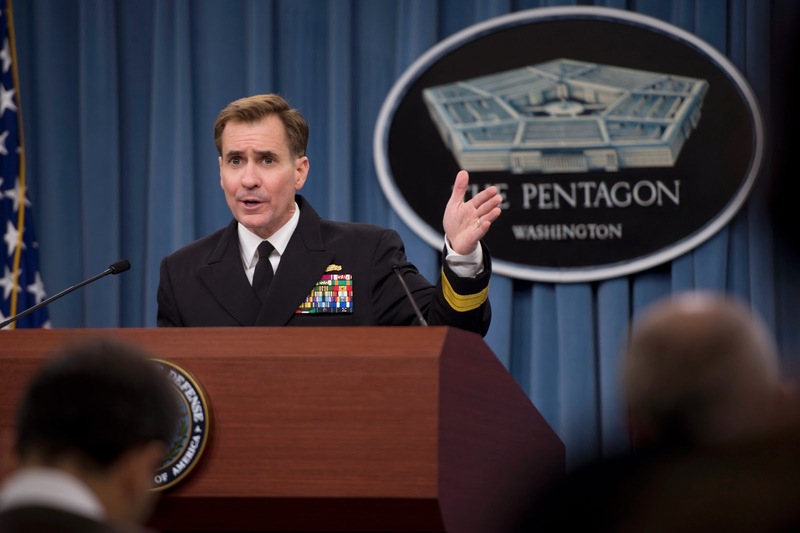 WASHINGTON, Aug. 8, 2014 - The U.S. military conducted a targeted airstrike today against Islamic State of Iraq and the Levant terrorists in northern Iraq, Pentagon Press Secretary Navy Rear Adm. John Kirby said in a statement. At about 6:45 a.m. EDT, two F/A-18 aircraft dropped 500-pound laser-guided bombs on a mobile artillery piece near Irbil, the capital of Iraq's Kurdistan region, Kirby said, adding that ISIL was using this artillery to shell Kurdish forces defending the city, where U.S. personnel are located. The decision to strike was made by Army Gen. Lloyd J. Austin III, commander of U.S. Central Command, under authorization granted him by the commander in chief, the admiral said. "As the president made clear, the United States military will continue to take direct action against ISIL when they threaten our personnel and facilities," he added. Bravo Zulu! The action is long overdue. But perhaps someone has finally grown a pair.